The Female Urinal is an essential necessity for anyone who has trouble getting out of bed. The unit prevents spills due to the design of the unit in its shape. The Female Urinal has a sturdy grip for easy handling and allows the unit to be used in several positions by the patient. 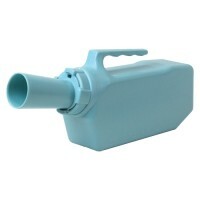 The unit is Lightweight, durable and easy to clean. The Female Urinal has graduation marks making it easy to see how full the unit is. The female urinal can hold 35 oz (or approximately .9L). 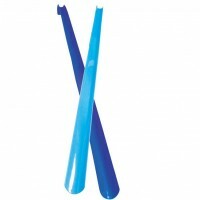 Strong flexible plastic shoe horn 24″ (61cm) long with a handy hang up hole. 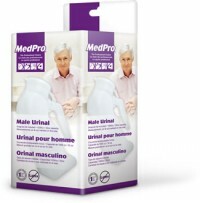 Spill Proof Male Urinal Bottle needs no lid and has an anti-reflux system that prevents spills. Stain-resistant plastic lets you see when emptying is needed with a visible “full” line. Holds up to 32 oz. Cleans easily with soap and water. The PCP 6094 Bed Pan allows the bed confined user a degree of independence and discretion when voiding. 15″ x 12″ (38.1 x 30.5 cm). The PCP 6095 Fracture Pan is designed specifically for those who have had a hip fracture or are recovering from hip replacement. 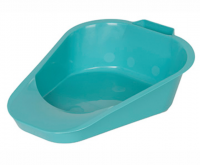 This type of bedpan may be used for those who cannot raise their hips high enough or to roll over onto a regular size bed pan. Easy grip handle on both front and sides. For use with immobile or fracture patients. Tapered front can be positioned without having to move patient. Lightweight molded plastic, easy to clean. Can be used as female urinal. Ideal for those who require an economical decubitus cushion. The peaks and valleys allow for greater circulation of air flow under the patient while reducing pressure. 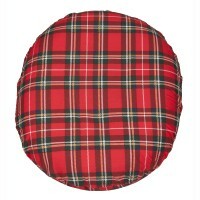 The Foam Ring Cushion provides excellent comfort and support while seated. The unit is designed to provide maximum pressure relief due to the open center taking the pressure away from all the sides of the ring. The Foam Ring Cushion comes with the durable, washable, and zippered jacquard cover which increases the longevity in life of the unit. 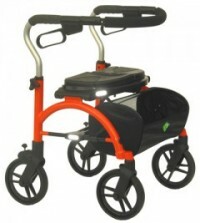 The unit is made of soft, premium quality therapeutic foam ensuring the unit molds to you and proved maximum comfort. Available in 16″ & 18″ size. Lumbar Support Bolster has been specially designed to reduce pressure and muscle tension on the lower back. By placing your legs over the bolster, the pelvis is tilted into position to relieve tension in the lower back. As the leg must rest comfortably in a bent knee position, the length of the leg will determine what height should be used. Promotes proper posture and relieves pain caused by tight hamstrings. Available in 8″, 9″, 10″, 11″ & 12″ heights. 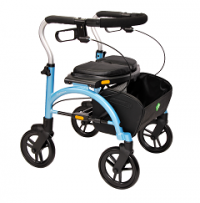 Designed for patients requiring head, back, or leg elevation. 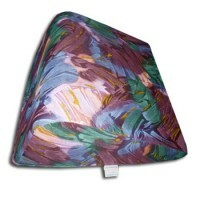 Conveniently and economically replaces pillows or rolled towels while positioning patients securely. Universally positions supports and reduces excessive pressure for many surgical, therapeutic and rehabilitation procedures. Comes with removable, washable, navy poly / cotton cover. Available in 7″, 10″ & 12″ heights. The support’s breathable Train Active Knit is anatomically contoured and fits the foot perfectly. The compression effect of the knit aids the circulation and activates the surrounding musculature. The support thus stabilizes the foot without restricting mobility and is ideal for use during sporting activities. It fits into any trainer and helps to prevent further injury to the ankle during training or competition. The integral expansion zones in the anatomically contoured AchilloTrain Pro orthopedic brace make it easier to put on and take off; it can be worn on the right or the left. The breathable material increases wearing comfort. The short knitted section in the metatarsal area prevents pressure points. Stabilizing orthosis for big toe correction. 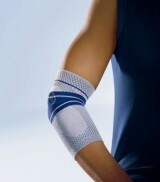 The EpiPoint elbow support fastens around the forearm by means of a Velcro strap. 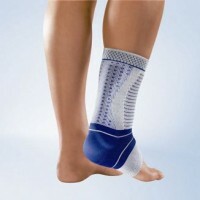 The elastic adjustable band allows the level of compression to be set as required. The pad has five nubbed zones which provide targeted compression to the affected area of the arm muscle. This relieves pressure on the tendon attachments, stimulates healing and alleviates arm pain. The pad is designed symmetrically, so the EpiPoint can be worn on either the left or the right forearm as required. The flat strap has a terrycloth lining and can easily be worn under a sweater or a shirt. Anyone who repeats the same arm movements every day can be suddenly taken by surprise by sharp pain. The tissues are over-strained and become swollen and inflamed. EpiTrain massages the tissue during exercise and stimulates the metabolism. This can help the swelling to go down quickly. In 2007, the Train active supports were awarded the iF product design award for their materials and design. The breathable, skin-friendly knitted fabric adapts to your every movement, without cutting into you or slipping. This is why the material is softer and more elastic at the edge of the bandage. In this way, EpiTrain supports the healing and mobility of the elbow. EpiTrain and other Bauerfeind products are available from medical and other orthopedic retailers. Here, trained staff will advise you and take precise measurements to ensure that your support is sitting comfortably and securely in position. This stabilizing orthosis supports the wrist without hindering everyday actions. Following bruising or a sprain, it protects and supports the hand while the irritation subsides. It is designed to provide the necessary support while allowing freedom of movement for the fingers, thanks to features such as its generous thumb opening. Wearing the orthosis prevents you from making movements that could cause pain, but your hand is still able to grip objects. The ManuLoc can be worn on the right wrist or the left. The materials and design of the ManuLoc are intended to speed up the healing of the affected wrist, without restricting movement unnecessarily. It is very easy to put on and take off – especially with just one hand. The orthosis can be opened completely using large micro Velcro fastenings. The strap ends with an integrated pull-back stop device allow the fastenings to be secured quickly and without great effort. Moisture can pass through the breathable fabric, so perspiration does not accumulate under the orthosis. The orthosis has a flat design and is made of velour and micro Velcro, which enables it to be worn comfortably under your clothes, without pulling any threads, and also makes it particularly lightweight. ManuLoc stabilizing orthosis and other Bauerfeind products are available from medical and other orthopedic retailers, where trained staff will advise you and take precise measurements to ensure that your orthosis fits comfortably and securely. The anatomically shaped active support ManuTrain supports, stabilizes and massages providing proper pain relief. Its three-dimensional knit adapts to the body, does not slip and boosts the circulation. Two pads remove the pressure from nerves and blood vessels. The adaptable stay can be added for a greater stabilizing effect. In 2007, the Train active supports were awarded the iF product design award for their materials and design. The breathable, skin-friendly knitted fabric adapts to your every movement, without cutting into you or slipping. This is why the material is softer and more elastic at the edge of the support. In this way, ManuTrain® promotes healing and mobility in the hand. ManuTrain and other Bauerfeind products are available from medical and other orthopedic retailers. Here, trained staff will advise you and take precise measurements to ensure that your support fits comfortably and securely in position.